After the big success of the albums “Back Door Blues” and “Blues on My Front Door”, Nico Backton & Wizards of Blues released the album “Roots and Stories”, which has known the same success and new amazing critics. The European distribution of the album by Naked Productions / Bertus opened the gate to the European Scene, resulting in playing on different main festivals, like the Linton Blues Festival (UK), Charleroi Blues Night (B), Carralejo Blues festival (Canarias) and the Suwalki Blues Festival (PL) amongst others. 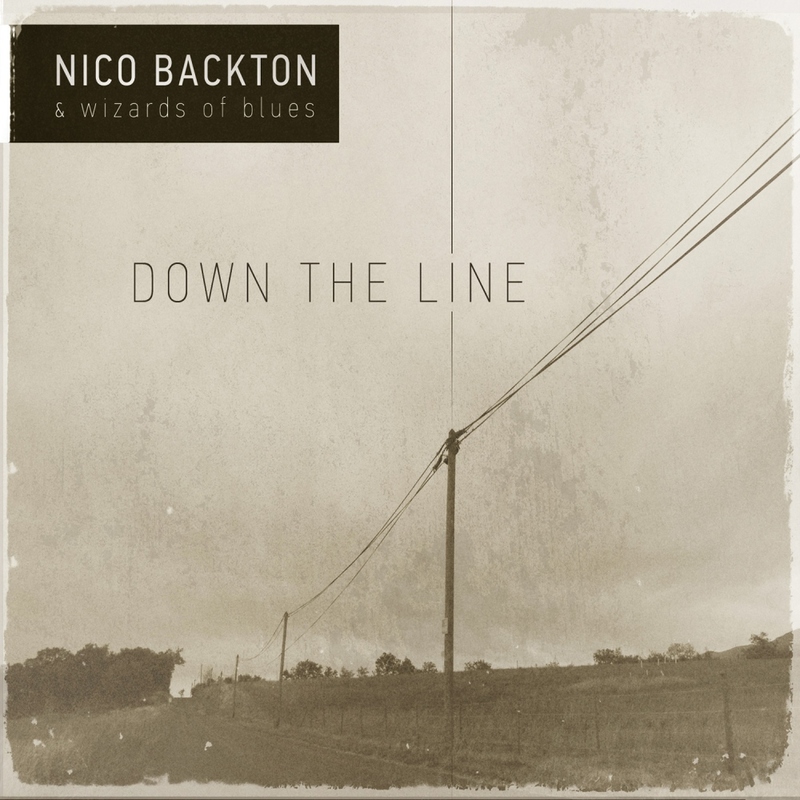 “Down the Line” perpetuates Nico Backton’s own musical philosophy, with outstanding new musicians, and opens itself to more electric guitar. One step further into Blues History….